Frederick H. Auerbach was born in Fordon, Prussia, in 1836. Samuel H. Auerbach was born in Fordon, Prussia, in 1847. Their parents were Hillel and Beulah Auerbach. Coming to America at an early age, the West called and the two brothers came to the California Gold Country via the Isthmus of Panama, opening a store in the mining camp called Rabbit Creek in 1857. They also opened a tent store in Bodie. 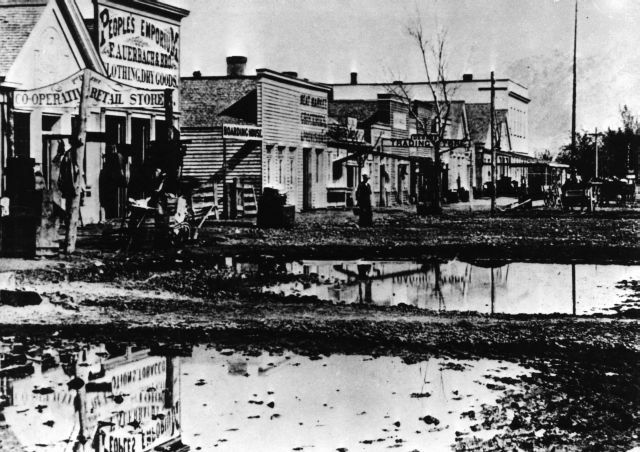 In 1863 the brothers moved Austin, Nevada, following ore strikes. Shortly afterwards, Frederick Auerbach went to Salt Lake City, where he befriended Brigham Young, who helped him secure property for their first store on what is now Main Street. 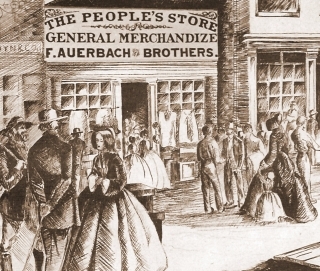 It was called The People’s Store: F. Auerbach and Brothers. Frederick and Samuel Auerbach’s business flourished until a Mormon-owned firm, ZCMI opened, putting non-Morman establishments in jeopardy. The Auerbachs opened a second store in Corinne, Utah, where more non-Mormon’s settled, as well as in Ogden. They also ran tent stores along the rail construction route that eventually reached Promontory Point in 1869, initiating the first transcontinental railroad. In 1879, the Auerbachs moved their Salt Lake City store into the former Masonic building. Money was so scarce that the Mormon Church issued tithing script, which was used in place of money. To help in controlling an epidemic, the Auerbach brothers donated their entire stock of medicines to the Mormon Church. In appreciation, Brigham Young gave to the Auerbachs the privilege of redeeming tithing script at face value. This was a privilege enjoyed by no other non-Mormon store. 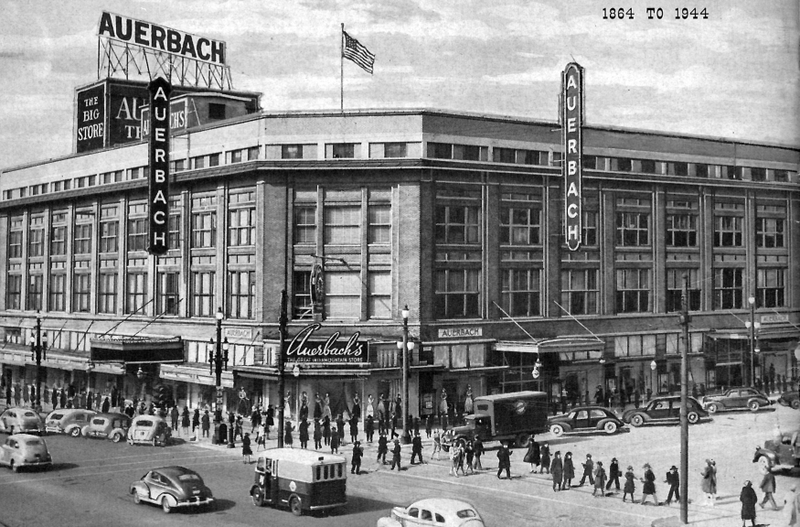 In 1912, Auerbach’s department store outgrew its location and moved again to what is now Broadway. 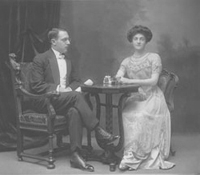 Samuel and his wife, Eveline, moved to New York City in 1909, leaving their son, George S. Auerbach in charge. — The Salt Lake Tribune, 1909. Samuel Auerbach married Miss Eveline Brooks in 1880. Together they had eight children: Herbert S., Josephine M., George S., Bessie, Selma, Jennie, Frederick S., and Madeline. Frederick H. Auerbach died in 1896 and is buried in the B’nai Israel Cemetery in Salt Lake City. 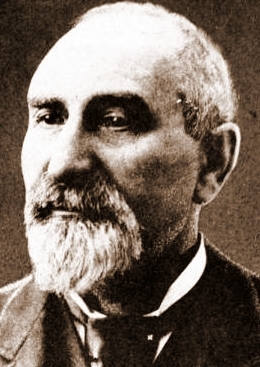 Samuel H. Auerbach died in 1920. Herbert Samuel Auerbach was born in Salt Lake City in 1882 to Samuel H. and Eveline Brooks Auerbach. In 1897, he went abroad to study in the Fresenius Laboratories and the J. J. Meier School at Wiesbaden, Germany. Three years later he took up studies in Lausanne, Switzerland, at the Conservatory of Music and Lausanne Technical School. After graduating, he toured the concert stage in Europe as a violinist. Herbert Samuel Auerbach then entered the Columbia University School of Mines in New York City and received a Master’s Degree in electrometallurgy in 1906. For several years, he worked as a consulting engineer and was in charge of numerous mining properties in Colorado and Idaho. Gradually, though, he began to take more interest in his family’s business. From 1911 on he, devoted all his time to the business, becoming President of Auerbach Company, the family real estate firm, and other businesses. Herbert Auerbach served on the Board of Regents of the University of Utah in 1917. He enlisted in the army when the United States entered World War I, serving as a Major in Ordinance, until 1919. He was a life-long member of the Chamber of Commerce and Rotary Club. 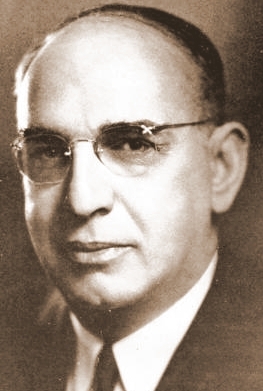 Herbert Auerbach was a member of the Metropolitan Water Board of Salt Lake City from 1935 to 1942, and a Director of the Colorado River Basin Water Users Association in 1941-42. In 1925, he began the first of two terms in the Utah State Legislature. Herbert Auerbach was a member of Salt Lake Post No. 2, American Legion, and the Alta Club. Proud of his pioneer Jewish heritage, he served as President of the Sons of the Utah Pioneers. He was also a member of the American Society of Composers, Authors, and Publishers. Herbert Auerbach died in 1945. His funeral was held in the Assembly Hall on Temple Square, where people of all religious faiths and those of no affiliation paid their respects. George Samuel Auerbach, the second son of Samuel H. Auerbach, learned the business in the family store and then married Beartrice Fox, daughter of Moses Fox, son of Gerson Fox, founder of G. Fox Department Store of Hartford, Connecticut. Born in 1887, Beartrice Fox moved to Salt Lake City and became involved with Auerbach’s Department Store. G. Fox in Hartford suffered a devastating fire in 1917. 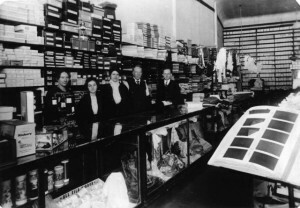 Moses Fox rebuilt an even larger store, which was eleven stories high and opened 1918. Beartrice and George S. Auerbach moved to Hartford from Salt Lake City to help with the business. 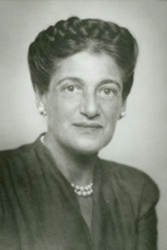 After George died unexpectedly in 1927, Beatrice Fox Auerbach began working alongside her father, eventually taking over the Presidency of G. Fox & Co.
Beatrice Fox Auerbach became the leading citizen of Hartford for decades, as well as the largest supporter of both Jewish and local charities. 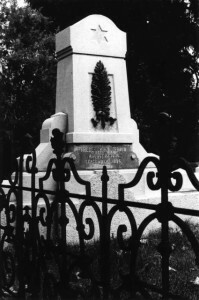 She died in 1968, and is buried with her husband. Hynda Rudd, “Auerbach’s: One of the West’s Oldest Department Stores,” Western States Jewish History 11/3. Herbert S. Auerbach, 80th Anniversary: 80 Years of Service, Auerbach Co., Salt Lake City, Utah (1944). JMAW Director’s Note: In 1962, at the age of 25, David W. Epstein, founder of the JMAW, was offered a management position at G. Fox & Co. On the same day he was offered a merchandising position in Los Angeles with a growing discount store chain. My family chose California and we moved from Connecticut to the San Fernando Valley. GOOD DECISION! Resolved: That The Hebrew, Hebrew Observer, of San Francisco, and The Israelite of Cincinnati be informed of our organization, and of the election of the following gentlemen as officers for the ensuing term: President, Fred Auerbach; Vice-President, L. Levy; Treasurer, Solomon Siegel; Secretary, Theodore Auerbach; for Trustees: Messrs. J. M. Ellis, Harris Aaron, Jacob Ornstein, L. Reggel, and S. W. Joel.